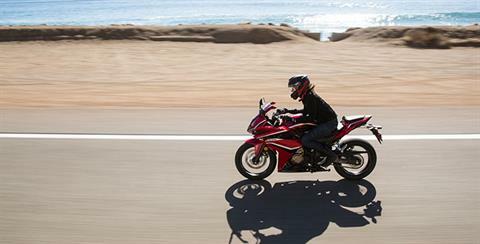 It has quickly become one of our most popular streetbikes, and it’s no wonder why. 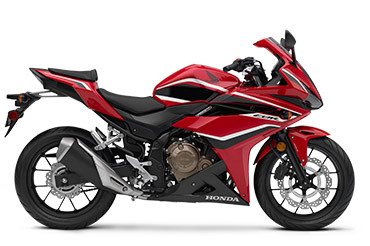 With a perfect combination of performance, versatility and price, the Honda CBR500R just might be your next bike. 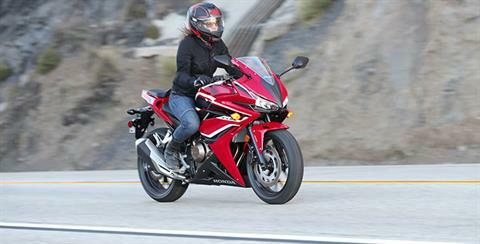 The CBR500R’s engine is powerful, smooth, and offers a wide powerband with plenty of revs. 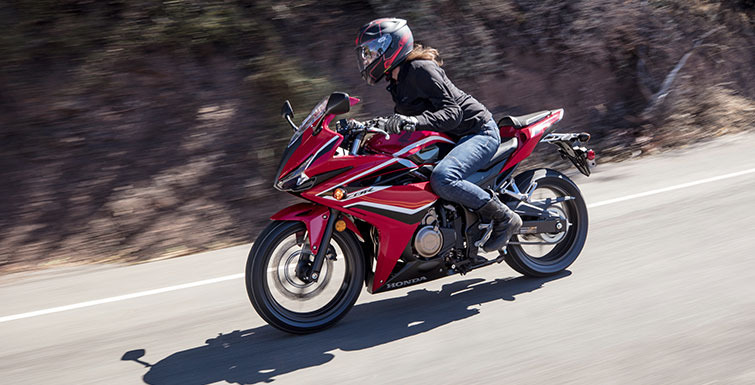 And with four-valve combustion chambers, twin overhead cams and fuel injection, it can confidently keep up with many bigger sportbikes. A 500 twin is a great choice for a whole lot of sport riders. Generations of enthusiasts have known it, and the CBR500R is the newest incarnation. 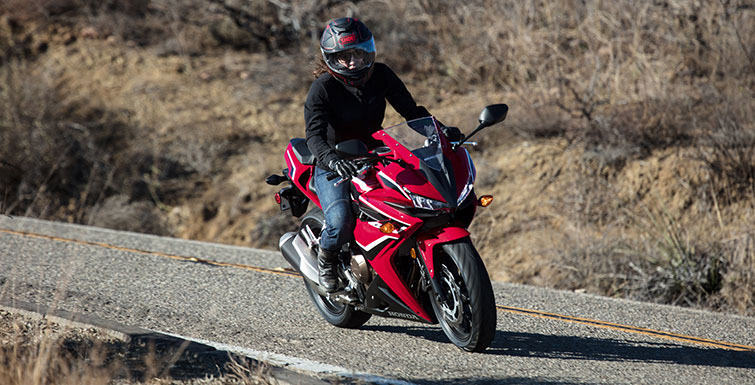 LED HEADLIGHTS: The CBR500R sports a pair of powerful LED headlights. They’re small and light, throw out an amazing amount illumination, and feature a stylish shape. They completely change the CBR500R’s presence and give the front end a unique look. 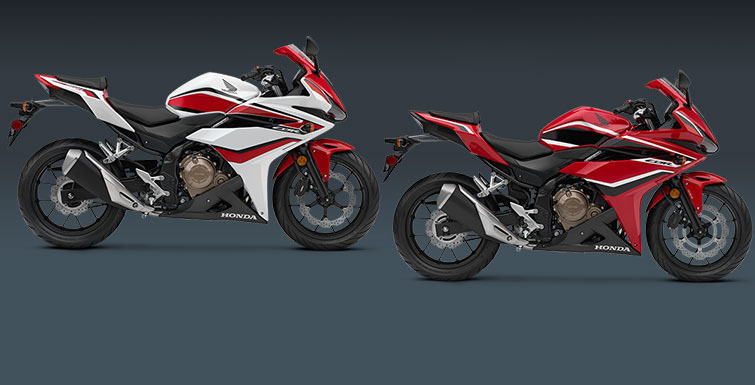 PROGRAMMED FUEL INJECTION (PGM-FI): PGM-FI continuously monitors several variables to ensure the correct fuel mixture is delivered for the existing riding and atmospheric conditions, ensuring a crisp throttle response throughout a wide variety of riding. STAINLESS STEEL EXHAUST: Beautifully polished stainless steel exhaust is integrated with the rear footpeg set for clean, functional design. The exhaust tucks in tight for better mass centralization (and consequently better handling) while also providing a crisper exhaust note. DISC BRAKES: The front 320 mm wave-style disc brake and 240 mm rear provide strong stopping power. 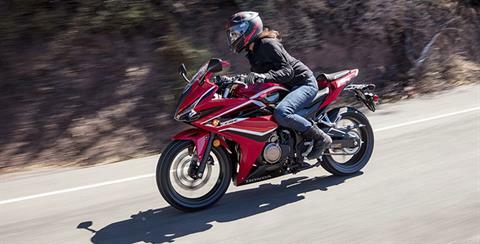 The front-brake lever is also adjustable for a perfect fit. Rear Travel - 4.7 in.